Before getting into the nuts and bolts of answering this question, and committing the facts down in writing, I thought it would be worth noting how peculiar this question is. It’s rare, for example, to hear people prying into the nutritional requirements of carnivores – as a student who lived off little more than beer and Monster Munch, I fielded literally no questions based on my nutritional intake. Why the faux concern about my gastronomical intake now? On a slightly lesser basis, I’m often asked, too, about where I get B12 in my diet from as this is often found in meat – that up to 40% of the general population are B12 deficient, and every vegan I’ve spoken to makes sure they compensate with appropriate supplements, shows that these questions are not often asked in good faith. Yet, for those genuinely intrigued as to how vegans get protein in their diet, the answer is a simple one – through planning and measuring. Whilst animal meat is known for its high ratio of protein per gram, its far from impossible to source this (and all other nutrients required for a healthy, balanced diet) from elsewhere. The stereotype that vegans begin to shrivel and shrink through a lack of meat in their diet has been dispelled in recent years through athletes such as David Haye, Austin Aries and the Williams sister adopting plant-based diets to propel them to the top of their fields. For someone like myself, without an in-house nutritionist or sports science background, I often use apps like MyFitnessPal to measure everything I consume to make sure I hit my daily targets (in regards to calories, carbs and protein) – their database of food makes it easy to plan in advance what I need to eat to make sure that everything I eat adds up to form a healthy diet. So, with my experience in mind, what protein-rich food sources would I recommend for those looking to pursue a vegan diet? Perhaps the biggest superfood I’m aware of, in terms of its versatility and all round goodness, comes in the form of lentils – perfect for soups, salads and curries alike and boasting 9g of protein per 100g/116 calories. Chickpeas, spinach, soy milk, tempeh, pinto beans and tofu are all delicious, healthy foods high in protein too and ideal platforms on which to ground one’s plant-based diet. When preparing a meal featuring any of these ingredients, adding them to your MyFitnessPal diary will show you exactly just how good for you they are in an easily trackable manner. Yet, in much the same way as I boost my intake of vitamins and irons with supplement tablets, I often find myself using vegan protein powders to complement my diet – they’re easy to prepare and ideal to drink after a workout (in essence, like whey protein shakes but without the dairy components). 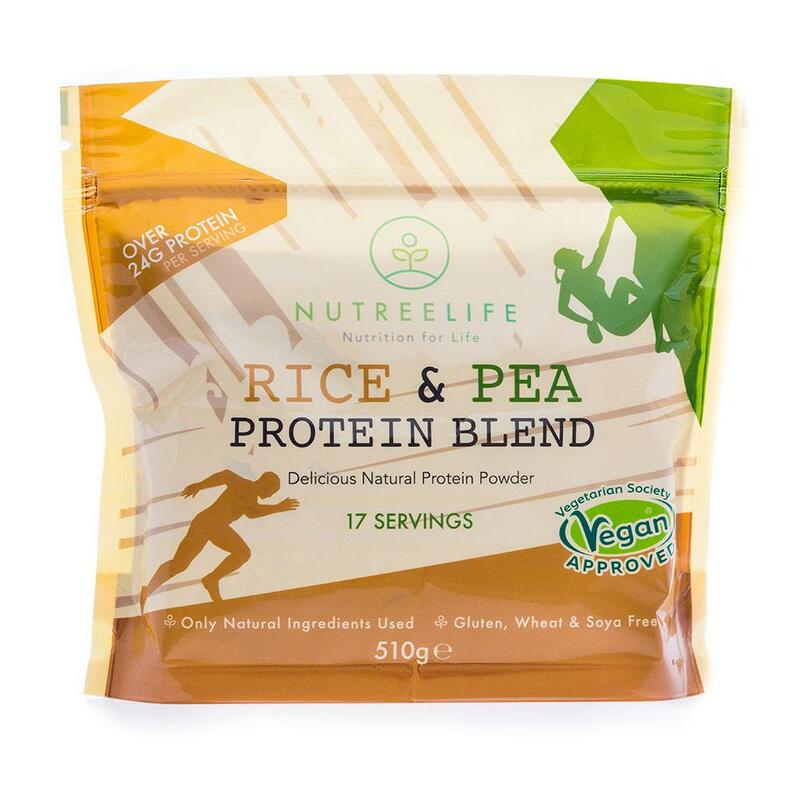 Nutree Life are one of the companies currently catering for the ever-growing crowd of vegans looking for additional sources of protein in their diet. For fans of protein powder, like myself, they stock a variety of goods all of which are not-just animal and dairy-free, but also completely gluten and soy exclusionary too. Featuring all-natural flavourings, the blends contain amino acids alongside a rather impressive amount of protein ranging from 60% (i.e. 60g of protein per 100g) for their pumpkin blend, through to an incredible 86% for their Pea Protein Powder. As a supplement to a balanced diet, the benefit of such a boost is almost invaluable and recommended highly particularly for those in training. For those who want to try veganism but who may find the idea of “too much greenery” in their diet a problem, somebody who despises lentils but still wants to stay on top of their vegan intake, there’s always other options. Nutree Life, alongside the aforementioned powder, also provide brownies, bars and other snacks too – they’re a great way of balancing one’s diet whilst satiating a sweet tooth. Contrary to another stereotype, veganism doesn’t have to be boring (indeed, just like a carnivorous diet, it can be as healthy or unhealthy, as sweet or as savoury, as rich or as lacking in protein, as the individual wants it to be)! With this in mind, next time I’m asked in bad faith where I get my protein from, I know what my response will be: where do you get yours?